Home » Randstad Sourceright Insights » Randstad to acquire Monster Worldwide to transform the way people and jobs connect. AMSTERDAM, NETHERLANDS and WESTON, MASS. – August 9, 2016 – Randstad Holding nv (AMS: RAND), a leading human resources services provider, and Monster Worldwide, Inc. (NYSE: MWW), a global leader in connecting jobs and people, today announced the signing of a definitive agreement under which Randstad will acquire Monster. Under the terms of the merger agreement, Randstad will pay $3.40 per share in cash, or a total purchase price of approximately $429 million (enterprise value). Creates Most Comprehensive and Technologically Advanced Capabilities for Human Resources Services: Randstad continues to enhance its business model in the rapidly shifting landscape, placing annually more than 2 million people worldwide through its network of more than 4,500 branches and client-dedicated services. With the addition of Monster’s leading recruiting media, technologies, and platforms which connect people and jobs in more than 40 countries, Randstad intends to further expand its services to offer both clients and candidates tools for increased efficiency and engagement, connecting more people to more jobs. Under the terms of the merger agreement, Randstad has agreed to commence a tender offer, through a wholly-owned subsidiary, to acquire all of the outstanding shares of Monster common stock for $3.40 per share in cash. The Boards of Directors of both Randstad and Monster have unanimously approved the terms of the merger agreement, and the Board of Directors of Monster has resolved to recommend that shareholders accept the offer, once it is commenced. The consideration represents a 22.7% premium to Monster’s closing stock price on August 8, 2016, the last trading day prior to today’s announcement and a 30.1% premium to the 90 day volume weighted average stock price. The purchase price implies an enterprise value to LTM 6/30/2016 Adjusted EBITA multiple of 8.9x (excluding stock based compensation) and 10.3x (including stock based compensation). The acquisition is structured as an all-cash tender offer for all outstanding issued common stock of Monster followed by a merger in which remaining shares of Monster would be converted into the same U.S. dollar per share consideration as in the tender offer. The transaction does not have a financing condition and is expected to be completed in the fourth quarter of 2016, subject to regulatory approvals. Randstad has used M&A to accelerate its strategy during the last nine months. 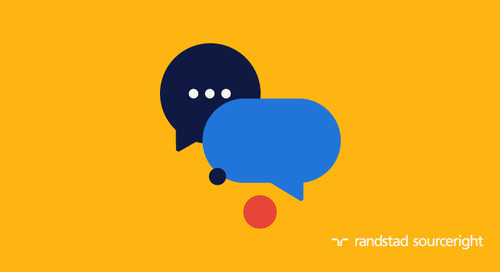 Randstad’s balance sheet is expected to remain solid after the closing of the recent string of acquisitions (Net Debt/EBITDA will remain well below 1.5x, compared to its policy to remain below 2x). The cumulated impact of M&A, announced during the last nine months, on Randstad's revenue will be ~ € 2 billion on an annualized basis. The main focus for Randstad going forward with respect to acquired companies will be on integration and implementation. As such Randstad will reduce the pace of M&A and it is expected to limit this in the medium term to around € 100 million. This press release and the description contained herein is for informational purposes only and is not a recommendation, an offer to buy, or the solicitation of an offer to sell any shares of Monster’s common stock. The tender offer referenced in this press release has not commenced. Upon commencement of the tender offer, Randstad North America, Inc. and its wholly-owned subsidiary, Merlin Global Acquisition, Inc. (“Merger Sub”), will file with the U.S. Securities and Exchange Commission (the “SEC”) a Tender Offer Statement on Schedule TO containing an offer to purchase (the “Offer to Purchase”), a form of letter of transmittal (the “Letter of Transmittal”) and other related documents and, thereafter, Monster will file with the SEC a Solicitation/Recommendation Statement on Schedule 14D9 with respect to the tender offer. Randstad, Merger Sub and Monster intend to mail documents to the shareholders of Monster. THESE DOCUMENTS, AS EACH MAY BE AMENDED OR SUPPLEMENTED FROM TIME TO TIME, WILL CONTAIN IMPORTANT INFORMATION ABOUT THE TENDER OFFER AND MONSTER SHAREHOLDERS ARE URGED TO READ THEM CAREFULLY WHEN THEY BECOME AVAILABLE. Shareholders of Monster will be able to obtain a free copy of these documents (when they become available) and other documents filed by Monster, Randstad or Merger Sub with the SEC at the website maintained by the SEC at www.sec.gov. In addition, shareholders of Monster may obtain a free copy of these documents (when they become available) by visiting the “Investors” section of Monster’s website at http://ir.monster.com/. The Offer to Purchase is not being made to holders of (nor will tenders be accepted from or on behalf of holders of) shares of Monster’s common stock in any jurisdiction in which the making of the Offer or the acceptance thereof would not be in compliance with the securities, blue sky or other laws of such jurisdiction. In those jurisdictions where applicable laws or regulations require the Offer to Purchase to be made by a licensed broker or dealer, the Offer to Purchase shall be deemed to be made on behalf of Merger Sub by one or more registered brokers or dealers licensed under the laws of such jurisdiction to be designated by Merger Sub or Randstad. and approvals relating to the tender offer and the merger, statements regarding the expected completion of the tender offer and the merger and statements regarding the ability of Merger Sub to complete the tender offer and the merger considering the various closing conditions. Randstad and Monster undertake no obligation to update any forward-looking statement in light of new information or future events, except as otherwise required by law. Forward-looking statements involve inherent risks and uncertainties, most of which are difficult to predict and are generally beyond the control of either company, including the following: (a) the occurrence of any event, change or other circumstance that could give rise to the termination of the merger agreement; (b) the inability to complete the transaction due to the failure to satisfy conditions to the transaction; (c) the risk that the proposed transaction disrupts current plans and operations; (d) difficulties or unanticipated expenses in connection with integrating Monster into Randstad; (e) the risk that the acquisition does not perform as planned; and (f) potential difficulties in employee retention following the closing of the transaction. Actual results or outcomes may differ materially from those implied by the forward-looking statements as a result of the impact of a number of factors, many of which are discussed in more detail in the public reports of each company filed or to be filed with the SEC or the Amsterdam Stock Exchange.